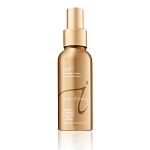 A facial spritz that helps to hydrate and plump the skin cells. Contains key ingredients to calm and protect the skin. Spritz the face when the skin feels dry or when exposed to drying atmosphere. Ylang Ylang Flower Extract and Essential Oil.